As a complement to my previous post September U.S. Temperature trend/decade: 3.2 F Warmer in 100 years, I thought it also would be interesting to look at the recent 9 months (year to date, January- September) US temperature from a “historic” perspective since we now have a whole year of official data. To see how the decade trends have evolved during the last 112 years. I don’t know about you, but I consider a 9 month, a year by year consecutive trend 112 years long to be a “quit good” indicator. 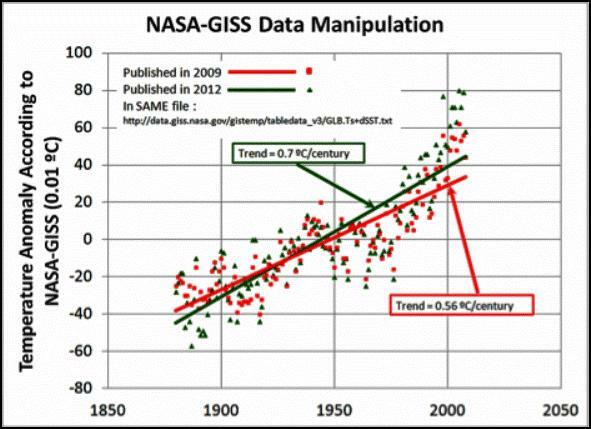 And some more glaring official change and CONSTANT manipulation of “HISTORICAL” temperature data. 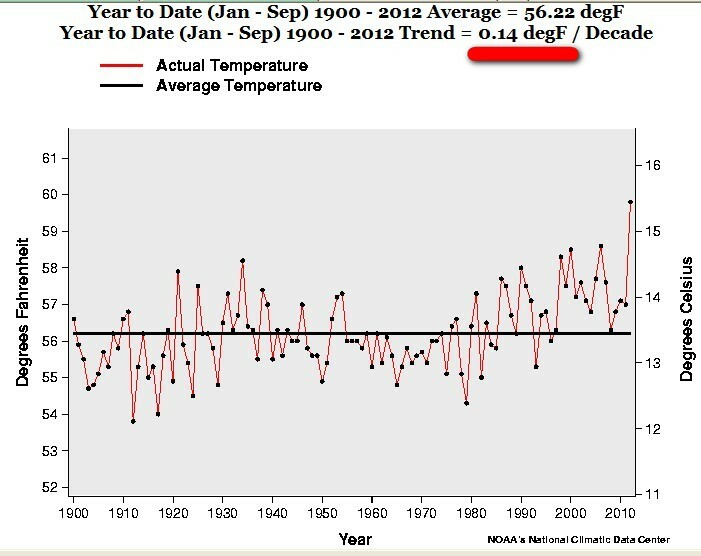 In the U.S., the warmest decade was the 1930s and the warmest year was 1934. And this is how that was erased between 1999 and 2011. 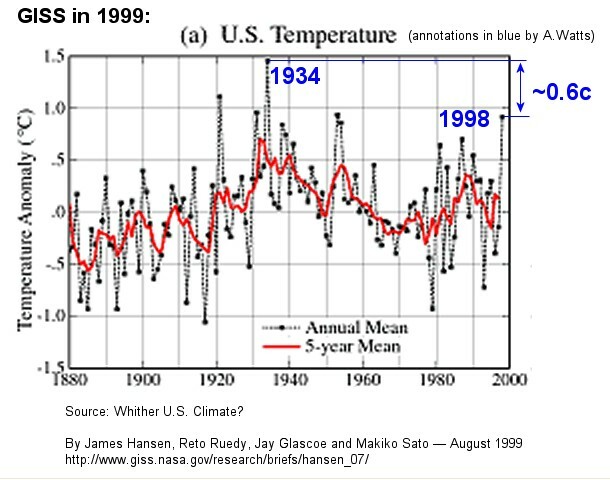 Do you notice the “accelerated warming” trend from 1970-2012 to 2000-2012?? 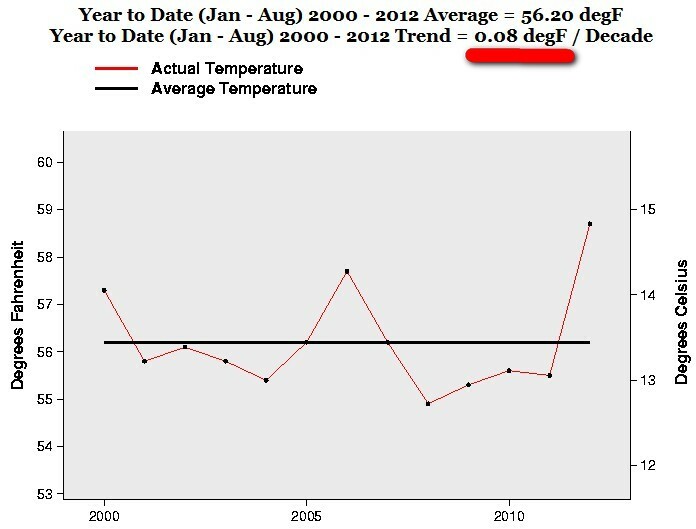 So the “warming trend” 2000-2012 is exactly 0.15 F (0.08 C) degrees warmer a decade. That is a whopping 1.5 F (0.8 C) warmer in 100 years. And we are supposed to be very worried about a predicted rise but not this ACTUAL trend? 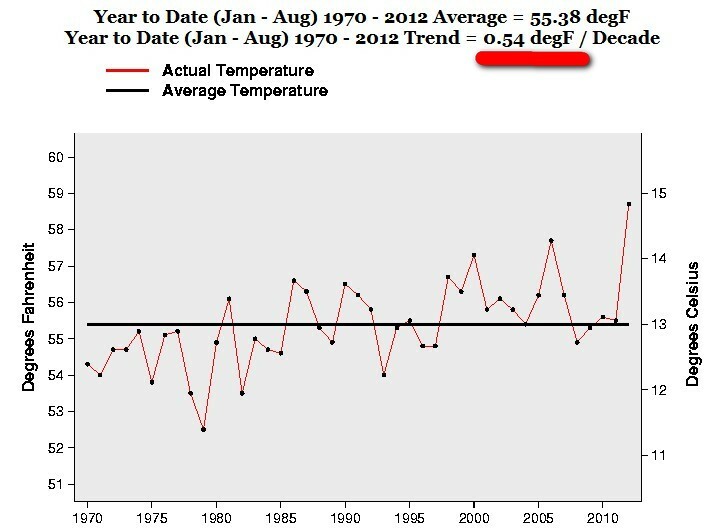 The recent 9 months trend 1970-2012 is exactly 0.54 F degrees a decade. 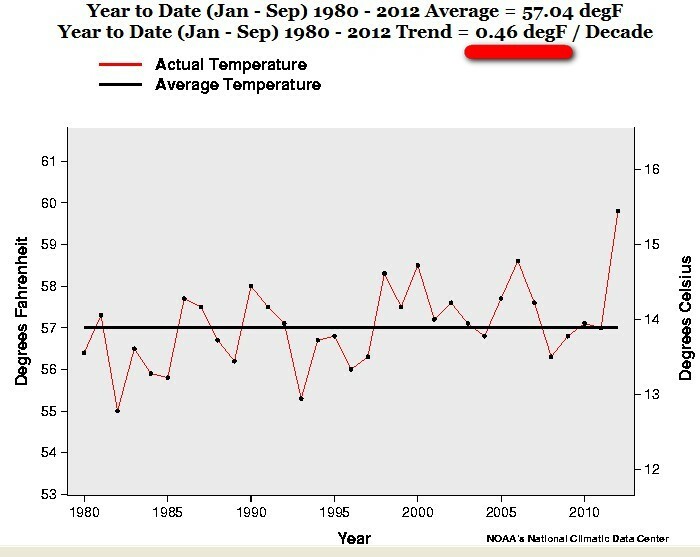 The recent 9 months trend 1980-2012 is exactly 0.46 F degrees a decade. 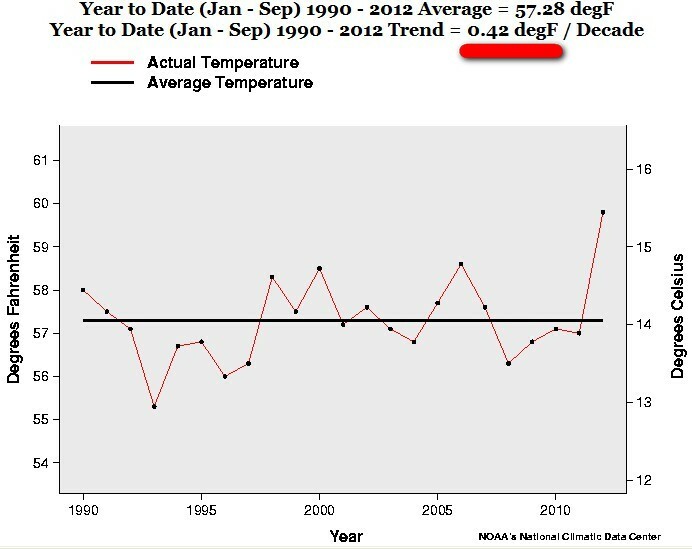 The recent 9 months trend 1990-2012 is exactly0.42 F degrees a decade. 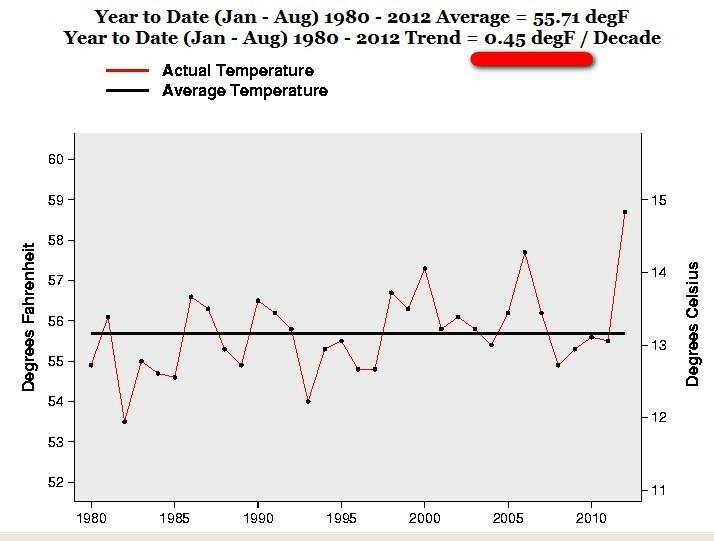 The recent 9 months trend 2000-2012 is exactly 0.15 F (0.08 C) degrees a decade. As a complement to my previous August U.S. Temperature trend/decade: 2.2 F Warmer in 100 years, I thought it also would be interesting to look at the recent 8 months (year to date, January-August) US temperature from a “historic” perspective since we now have a whole year of official data. To see how the decade trends have evolved during the last 112 years. I don’t know about you, but I consider a 8 month, a year by year consecutive trend 112 years long to be a “quit good” indicator. 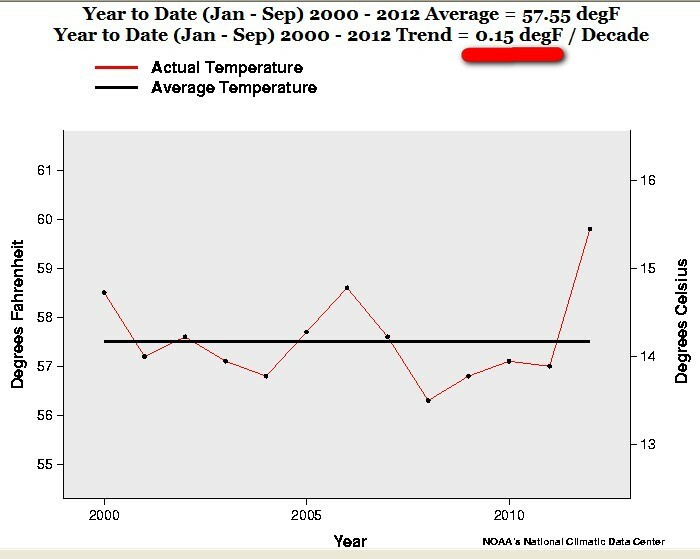 So the “warming trend” 2000-2012 is exactly 0.08 F degrees warmer a decade. That is a whopping 0.8 F warmer in 100 years. 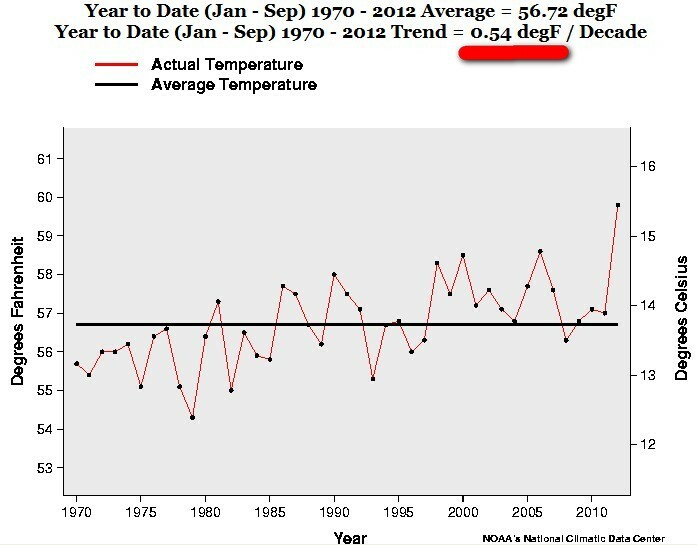 The recent 8 months trend 1970-2012 is exactly 0.54 F degrees a decade. 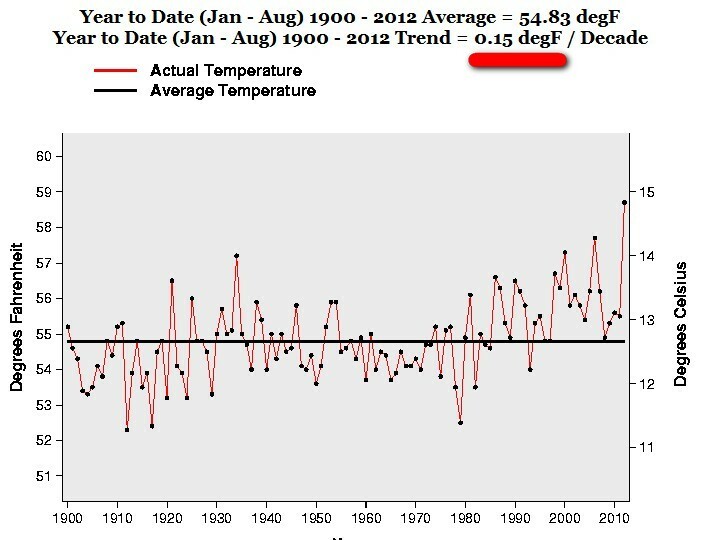 The recent 8 months trend 1980-2012 is exactly 0.45 F degrees a decade. 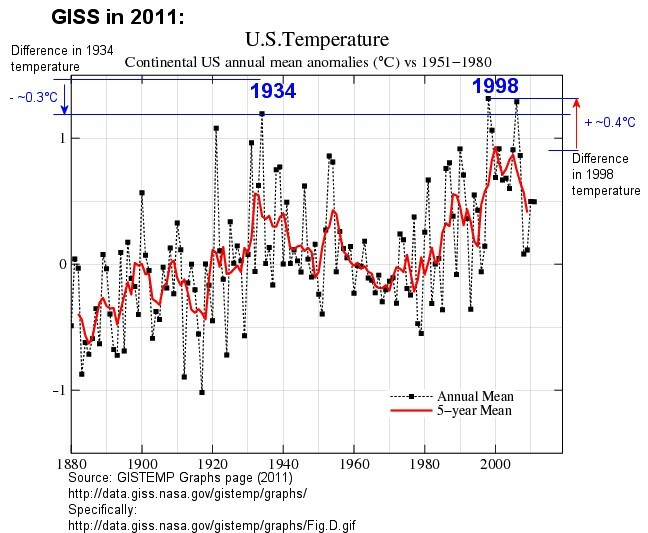 The recent 8 months trend 1990-2012 is exactly0.40 F degrees a decade. 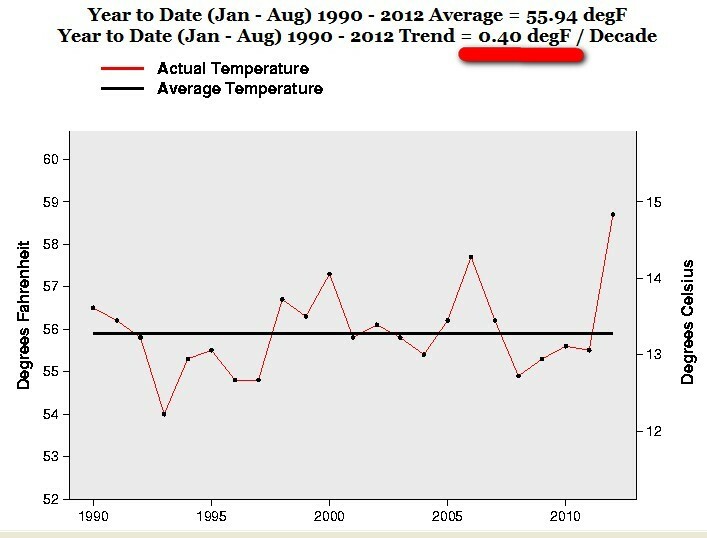 The recent 8 months trend 2000-2012 is exactly 0.08 F degrees a decade.